Dr. Vahdat accepts the following list of insurance providers. Select your insurance provider to see more details. I am a medical oncologist whose clinical practice is focused exclusively on caring for people with breast cancer. I have particular expertise in treating triple negative breast cancer, metastatic breast cancer, and breast cancer that is at high risk of recurring. 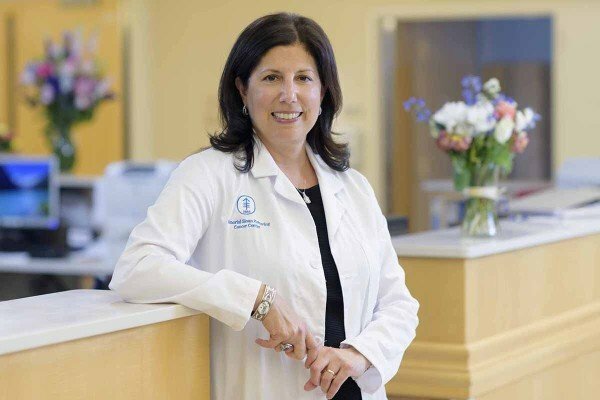 As part of an exciting new collaboration between Memorial Sloan Kettering and Norwalk Hospital, I see patients at both hospitals and am Chief of Medical Oncology and Clinical Director of Cancer Services at Norwalk Hospital. I am honored to provide residents of Fairfield County access to the highest standard of cancer care, when and where they need it. I have over 20 years of experience in caring for people with cancer. During this time, the landscape of breast cancer diagnosis and treatment has changed dramatically. People are living longer and better, but we can do more. My work aims to find new therapies, particularly for triple negative breast cancer, that will change the way we think about and treat this disease. I am also actively looking for ways to prevent breast cancer from spreading to other parts of the body. I meet with people who have received a breast cancer diagnosis, I work to provide them with a solid framework that will help them to understand their disease and available treatment options. Together, we’ll decide which treatment option is best, within the context of their lives and individual needs. Both MSK and Norwalk Hospital have long histories of providing high quality care. This collaboration will allow us to combine the strengths of each institution and give people in the community access to world-class care – including cutting-edge cancer clinical trials – closer to home. Visit PubMed for a full listing of Dr. Vahdat’s journal articles. Pubmed is an online index of research papers and other articles from the US National Library of Medicine and the National Institutes of Health.